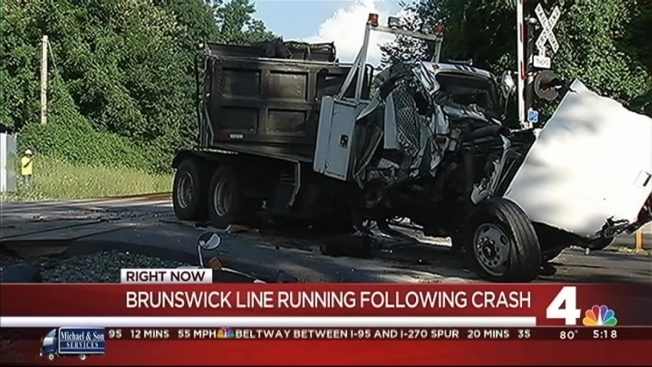 MARC Train Slams Into Dump Truck; Crowding Expected Tues. The crash occurred about 5 p.m. at the crossing on Forest Glen Road at Seminary Road. 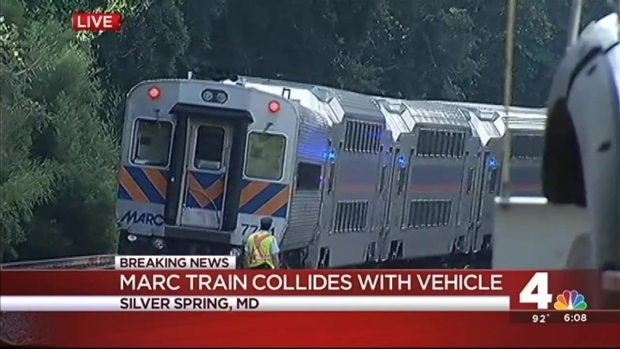 MARC Train Slams Into Truck in Montgomery Co.
No injuries were reported after a train struck a dump truck in Montgomery County. Shomari Stone reports.